The spoils of war for the Alpha Overlord will not be measured in gold or silver, but in warm mouths and right holes. Lorik, the son of a fabled Alpha Knight, has spent his last two days in the bottom of a bottle. His father died trying to fend of the Alpha Overlord, and now the maniacal conqueror of worlds is on his doorstep. Eager to live up to his name, Lorik carries his father's axe with him wherever he goes, but deep down he knows that his people's days are numbered. 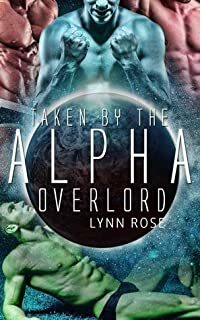 In his mind, he has but one choice, fight for honor so that he might have an honorable death, but the Alpha Overlord has other ideas, and he'd loathe to see the handsome young man face such a fate.